If you’ve made the decision to switch to eating vegan, there is a lot to learn. First, you should decide which diet to follow and whether you will live a vegan lifestyle. To help you switch your way of eating, here are some vegan diet tips to try. You probably know that vegans follow a plant-based diet, but what you may not know is that there are several vegan diets from which to choose. Here are some of the common vegan diet variations to consider. Some vegans try to eat nothing but whole foods to avoid processed foods that may contain chemicals they don’t want in their bodies. So, they eat vegetables, fruits, grains, beans, nuts and seeds prepared in a variety of ways. Following a whole foods diet requires making most of one’s food at home to avoid eating processed foods. Just as the name suggests, those who are raw vegans consume most of their foods in a raw state. Raw means the foods they eat are prepared at heats no higher than 113 degrees Fahrenheit or 45 degrees Celsius. Some of the ways to prepare foods are blending, dehydrating, or sprouting nuts, seeds, grains, rice, and legumes. 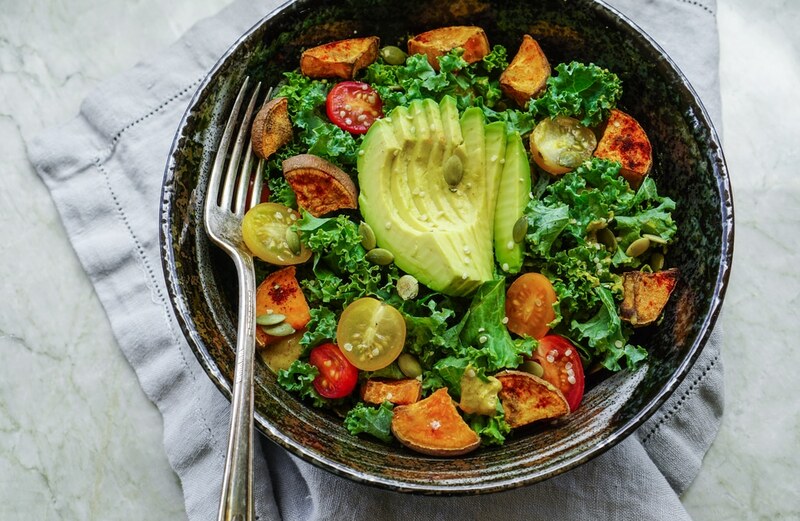 Vegans who eat raw until four p.m. usually consume large meals containing fruit for breakfast and lunch, then consume starchy meals for dinner along with a salad. It is an extreme diet, but it does have benefits for those who try it. This type of vegan diet, abbreviated as HCLF, involves eating lots of carbohydrates and very little fats. Many following this lifestyle try to eat a ratio of 80% carbs, 10% fat, and 10% protein or 80/10/10. Since most of the carbs vegans eat are complex carbs from fresh vegetables and fruits, it isn’t the same as a regular high carb diet. Many people who are on an HCLF diet are raw vegans. Vegans with celiac disease need to follow a gluten-free diet, but others try to reduce gluten in their diets as well. Gluten is a protein found in grains like wheat, barley, rye, farro, bulgur, and several others. Oats and oatmeal are naturally gluten-free, and companies are offering more gluten-free products for those with gluten intolerance. FODMAP is the acronym for Fermentable Oligosaccharides, Disaccharides, Monosaccharides and Polyols, which are carbohydrates that the body does not absorb well. They feed the bacteria in the small and large intestines, which leads to producing gas. In turn, that gas can cause bloating and cramps. The FODMAP diet is for people with Irritable Bowel Syndrome or IBS. It can relief 75% of the symptoms IBS sufferers may have. Following this diet can be difficult to do as a vegan, but it is possible. These health diets are snapshots of those that some vegans follow, some do not switch to a plant-based diet for their health, but for ethical reasons. They follow the diet out of their concern for animals and the environment. There are also Freegans, who are vegans that source their food from what is disposed of by grocery stores and restaurants. Freegans often pay nothing for their food because they dumpster dive and find produce, bread, and other foods that are still edible. If you’re new to veganism, there are many vegan diet tips, such as those below, that can help you buy and prepare plant-based foods. Even though they choose to be vegans, some people think of it as an inadequate diet, because they are giving up all the foods they like to eat. To succeed at switching to veganism, you need to have the right mindset. Instead of seeing it as a punishment, start the diet with an open mind so you won’t give up on it when it gets difficult to follow. While some people can jump into anything with both feet, most people start with smaller steps to succeed. Start by eliminating one meat or dairy product a week at a time. So, one week, give up beef, the second-week substitute soy or almond milk for cows milk etc. Continue doing this until you’re eating only a plant-based diet. Designing meals around plant-based foods can be challenging at first for those who’ve never done it before. Allow yourself more time to plan and cook meals to ensure you prepare the best meals you can. Also, take the time to learn new recipes, so you don’t end up eating the same meals repeatedly and get bored with them. Clean out your pantry and get rid of any condiments or processed foods with animal products in them. If the condiments are unopened, give them away, and take the canned goods to a local food bank. Then, create a vegan food list with which to stock your pantry and refrigerator. Here are some suggestions for a vegan shopping list. Just because a box has a label that says it is vegan doesn’t mean it is a healthy alternative to animal-based foods. Many plant-based processed foods have unhealthy ingredients in them. For instance, many vegans use margarine instead of butter, but many kinds of margarine contain trans fats which can reduce HDL, or good, cholesterol levels. Try to stick with whole, fresh vegetables, fruits, and learn to cook with vegan ingredients to make fresh meals. Before buying any foods, read the labels carefully. Many foods contain animal products, even those you may not suspect, like bread. Check for dairy products, gelatin, honey, and other ingredients which came from animals. To ensure that you get the nutrients your body needs to function properly, consider supplementing with a multivitamin when you start a plant-based diet. As you learn more about getting nutrients through a plant-based diet, you can replace the multivitamin with food. Some nutrients are difficult to obtain with a plant-based diet, such as Omega 3 fatty acids or vitamin B12, but as you learn more about the diet, you will know which foods to eat to gain those nutrients. To make meal preparation easier for yourself, consider creating meal plans for each day of the week. Since you’re going to be learning a new way of preparing food when you switch to veganism, it could take longer in the kitchen to make your meals. By planning out your meals for the week, you can buy what you need and prepare some meals ahead of time. For instance, if you take lunch to work, you can prepare salads or snacks ahead of time and store them containers in your refrigerator. That way, you can grab the food and go when you leave for work in the morning. Plan your meals in a way that works for you. If you like going to the supermarket twice a week, plan your shopping list around those trips. Here are some tips to help create a vegan meal plan. Look for new recipes that look and sound good to you. There are several websites that cater to vegans, many of which contain meal plans. When you find recipes you like, store them where they can be easily found. Some people like using Pinterest or they download them to their computers. Many people eat certain foods on each day of the week to help them shop and plan meals. For instance, Monday could be a pasta day, or on Taco Tuesdays you could learn a vegan taco recipe. You can adjust the themes for the weather, so when it gets cold, you could have soup on Saturday or chili on Tuesday night. When making out a shopping list, look for ways to save money by checking the weekly ad from your favorite supermarkets. Then, write down the foods on sale that you could use for the week’s meals. It is a good way to save money and get inspiration for meals. Whether you have a family or live alone, you should add leftovers to your meal plans. Leftovers can be taken for the next day’s lunch or frozen for busy days when there is little time to cook dinner. Consider making a double batch of the recipes you like and freeze one batch, so you have quick meals ready for busy days. By learning these vegan diet tips and tips for meal planning, you can easily switch from a traditional diet to a healthier plant-based diet. As you learn more about veganism and applying what you learn, you may begin feeling better, more energetic, and find it easier to maintain a healthy weight.